The IRGC commander calls funny the Israeli premier’s warning to Iranian forces to leave Syria saying that the Islamic Republic will keep advisors in Syria. Major General Mohammad Ali Jafari also warned the Israeli regime not to play the lion’s tail. 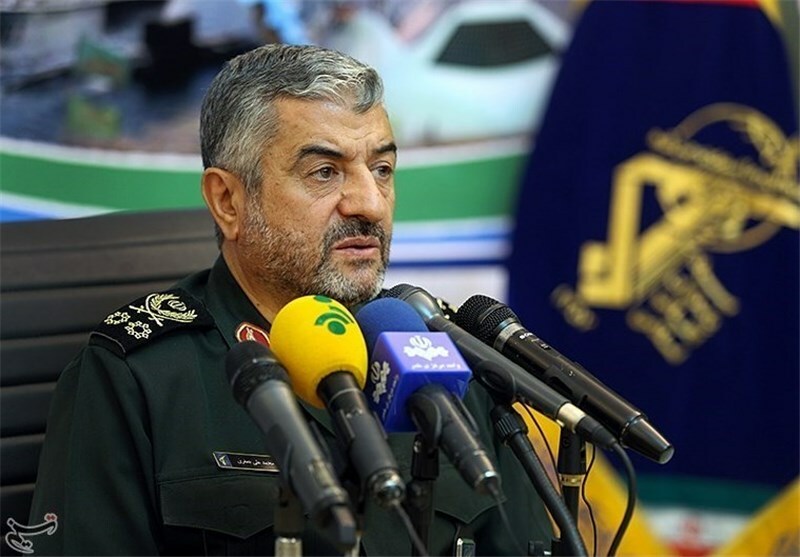 Responding to threats by Israeli Prime Minister Benjamin Netanyahu that Israel would continue anti-Iran attacks unless Iranian advisors withdraw from Syria, Major General Jafari said Tehran would not leave Israeli threats without a response. “Be certain that we take as empty your ridiculous threat. Be aware that profound wisdom is behind our patience in the face of your vain measures,” he noted. Netanyahu said on Tuesday Iran should quickly withdraw its forces from Syria or be confronted with continued Israeli strikes against them. “… get out of there fast, because we’ll continue our forceful policy of attacking, as we promised and are doing fearlessly and relentlessly,” noted Jafari. Earlier, Netanyahu confirmed Israel had attacked what he described “Iranian warehouses containing weapons in the Damascus international airport” over the weekend. Netanyahu claimed that Israel had attacked Iranian and Hezbollah positions in Syria hundreds of times. Describing Netanyahu’s threats as “ridiculous and funny”, General Jafari reiterated that Iran would keep its advisors and equipment in Syria. “The Islamic Republic of Iran will keep military, revolutionary advisors, equipment, and weapons in Syria for empowering the Islamic resistance,” IRNA quoted him as saying. The IRGC commander underlined the Israeli regime will soon realise the reason behind Iran’s patience in the face of Tel Aviv’s moves. “Just know that you are playing with the lion’s tail! Fear the day Iran’s pinpoint-accurate missiles hit you and take revenge for the blood of oppressed Muslims of the region,” he concluded.